"Engrish" is an example of the often funny misspelled or misused English words that you will see while in Asia. You will find out that your students will frequently confuse the letters "r" and "l". That's where "Engrish" comes from. If your name is "Ryan" your students may end up calling you "Lion". You will find funny misused English on clothing, signs, books, and basically anywhere there are translations. Here are 7 absurd examples. The above photo "I just don't give a..." was found on Reddit. This is kind of common. People wearing absurd shirts like this without having a clue as to what they mean. It's kind of like when westerners get tattoos in Chinese. To them it looks cool even though they don't really know what it means. 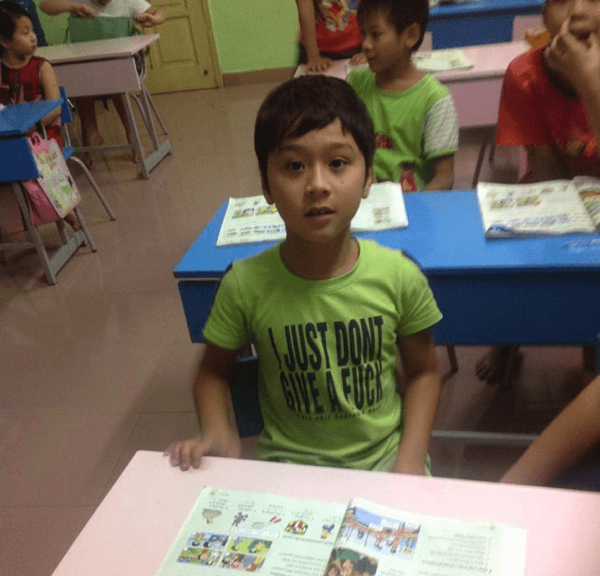 Some people in Asia like to wear shirts with English on them and they don't often know what it means. This racist student book was found on Reddit. This shows you a bit about what some people still think about Africans in Asia. Discrimination is alive and well. Not only do folks with brown or darker skin receive some prejudice in Eastern Asia, but so do folks that are overweight. And if you are a lady it doesn't take much to be considered overweight. 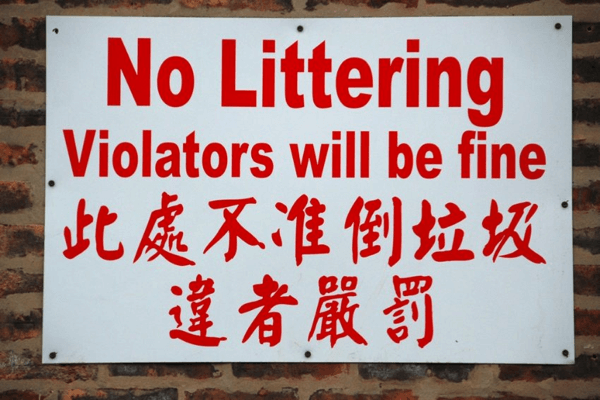 This "No Littering..." post was found on Reddit. The "Emergency Door..." was found on Reddit. 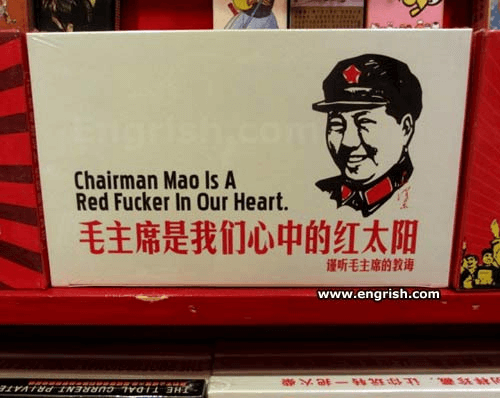 "Chairman Mao" was found on Engrish.com. 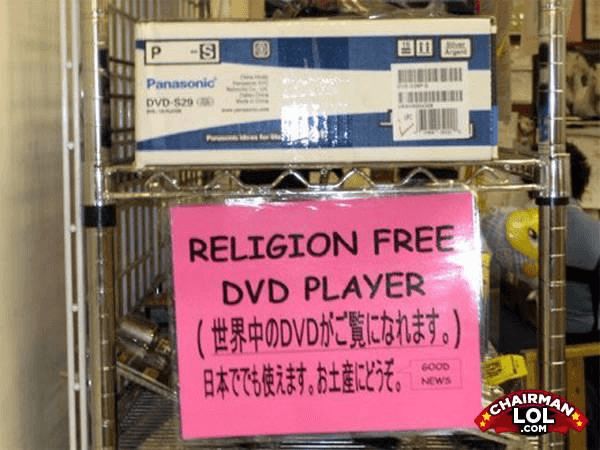 "Religion Free DVD Player" was found on Knowyourmeme. A "1000 Packets..." was found by me in Shanghai, China while out looking for lunch. There are 7 examples of Engrish at it's finest. How about you? 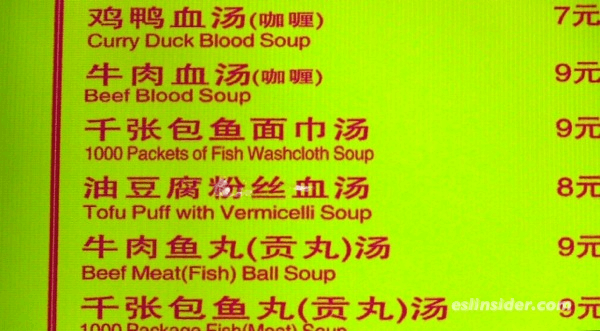 Have you seen any funny Engrish?